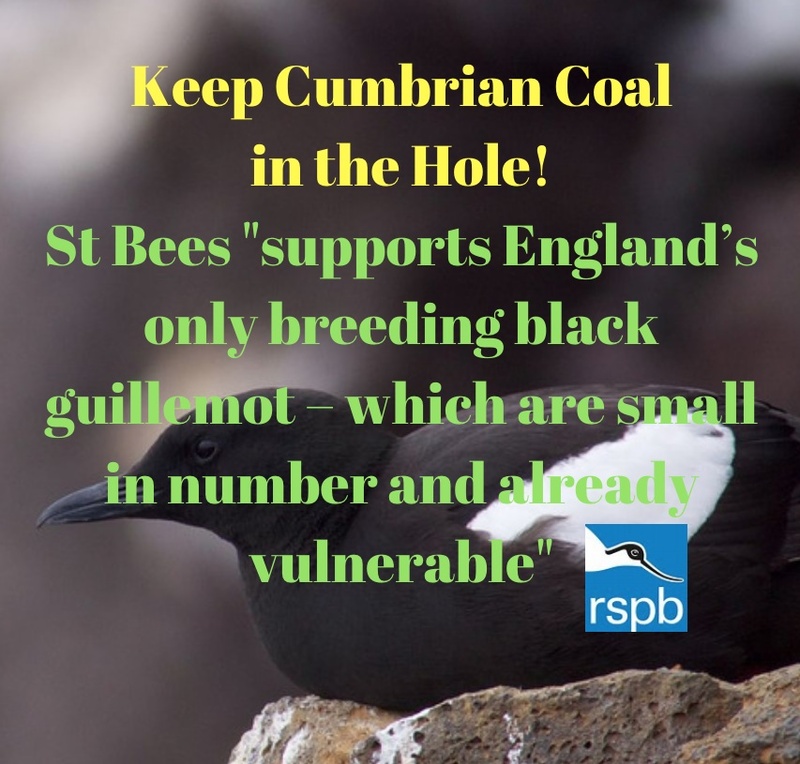 – Please Send Objections into Cumbria County Council to Make Sure we STOP the First Deep Coal Mine in the UK for 30 years. Below is an objection from Keep Cumbrian Coal in the Hole. Please feel free to amend, adapt or just generally use as a starting point for your own objection. It doesn’t need to be long – just a sentence or two would do to let Cumbria County Council know that you oppose the plan. Every letter of objection is a step nearer to stopping the plan! On July 2nd 2017 Radiation Free Lakeland wrote to the Leader of Cumbria County Council to vehemently oppose the plan for the first deep coal mine in the UK in 30 years. “The potential for earth tremors and quakes resulting from mining is well known. Even if the tremors were small that is too big a risk to take in the vicinity of Sellafield.” High intensity and liquefaction phenomena like that experienced at Christchurch in New Zealand are usually associated only with relatively large magnitude earthquakes. An earthquake in 1865 in the northwest of England (Rampside) suggests that a sufficiently shallow small event can also produce liquefaction. The Ecologist reported that: “Especially serious are the ~20 large holding tanks at Sellafield containing thousands of litres of extremely radiotoxic fission products.” Discussing these tanks, the previous management consortium, Nuclear Management Partners, stated in 2012: “There is a mass of very hazardous [nuclear] waste onsite in storage conditions that are extraordinarily vulnerable, and in facilities that are well past their designated life”The National Audit Office (NAO) stated these tanks pose “significant risks to people and the environment”. West Cumbria’s domestic fresh water supplies are already stressed with the halting of abstraction from Ennerdale to protect the river Ehen (Sellafield will continue to abstract from the Ehen for cooling and processes). People in West Cumbria have experienced problems with borehole water being added to their supply. The vast discharge of water required to dewater the old existing and newly opened mines would inevitably impact on West Cumbria’s fresh water supply. “The history of contamination of watercourses in the areas raises concerns for some local residents in relation to the impact of the development on the complex hydrology of the area.” Colourful Coast Partnership. This flies in the face of NPPF and Cumbria County Council’s own Minerals and Waste Plan to have regard for provide for public health (2.25). As previously noted seabed subsidence is an issue that would have environmental consequences anywhere. Close to Sellafield the environmental consequences of seabed subsidence have far wider implications. This includes the possible resuspension of many decades worth of radionuclides that are currently on the Irish Sea bed as a result of Sellafield reprocessing. Long-lived radionuclides (like plutonium or americium 241 nuclides) are still accumulating in the mud at the bottom’ of the Irish Sea. Events like storm surges or seabed subsidence churn this up. Resuspended particles make their way to the beaches of Cumbria and beyond. This is intolerable and is already an issue for beaches in West Cumbria with radioactive particles being routinely found by the industry’s own beach monitoring system (which stops in the school holidays). Knowingly creating the conditions for seabed subsidence from undersea coal mining runs counter to Cumbria County Council’s own policy of “risk reduction” regarding radioactive wastes. The Irish Sea Bed should be treated with care as it acts as a saucer like container for the many decades worth of radioactive wastes which are best left undisturbed. The fossil fuel industry’s methane emissions are far higher than previously thought. The famous landmark “candlestick” in Whitehaven is an air vent for the “most fiery pit in the kingdom.” “Fiery” because this area is methane rich. Last year the applicants West Cumbria Mining accidently hit a methane seam off St Bees and just five miles from Sellafield while carrying out exploratory drilling. “Local authorities, fire rescue, police and the Environment Agency were all informed.” An explosion was averted this time. Cumbria County Council have a duty of care to make sure there is no next time. Worldwide the steel industry is well aware of the need to rapidly decarbonise. This is already happening with ever more steel recycling. For new steel production there are ultra-low carbon methods of steelmaking in development and soon to be deployed whether this is based on biomass, hydrogen or electrolysis. Sellafield viewed from St Bees…a stones throw! There was a black guillemot…. Who lived on a cliff with his goyle. The cliffs of St Bees provide the only nesting site in England for the black guillemot. Although rarely seen, puffins are also believed to nest here. This area was once teeming with wildlife. In 2017 that wildlife is now much rarer, with many species being on the red list..what remains is so very important and mining for coal with (just for example) damage to hydrology, risk of subsidence and seismic activity is worse than vandalism.